Some lawmakers are incensed, but not wholly surprised by this week's bombshell report from Politico that the Obama administration knowingly derailed an anti-Hezbollah investigation because it would have threatened the nuclear deal with Iran. The Drug Enforcement Administration was so convinced that Hezbollah was amassing $1 billion a year from drug and weapons trafficking that it started Project Cassandra in 2008, an under cover investigation, to follow the money. Yet, according to Politico's sources, the Justice and Treasury departments "delayed, hindered or rejected" requests from project members as they sought answers. 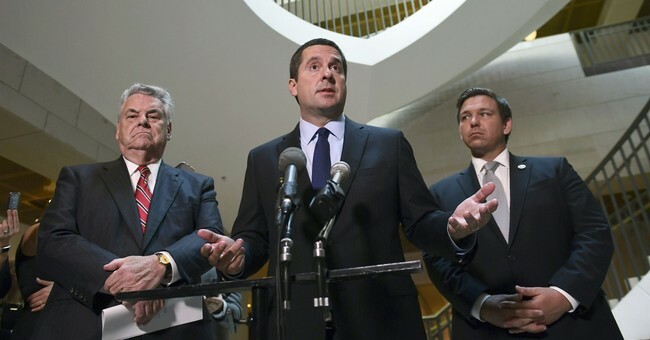 Rep. Ron DeSantis (R-FL) expected such meddling from the Obama White House, but even he was surprised as to the extent of the interference. "I've long believed that the Obama administration could not have done any more to bend over backwards to appease the Iranian regime, yet news that the Obama administration killed the investigation into a billion dollar drug ring that lined the terrorist group Hezbollah's pockets in order to save its coveted Iran deal may very well take the cake," DeSantis said. "Hezbollah is a brutal terrorist group with American blood on its hands and it would be unconscionable for American policy to deliberately empower such a nefarious group," he said. DeSantis's National Security subcommittee will be "particularly interested" in finding the truth, he added. Congressional investigators are currently drafting letters for several government agencies. We've had our suspicions about Obama's Iranian nuclear deal for quite some time. A New York Times Magazine report in May 2016 revealed that the administration went to some length to spin a narrative that we were negotiating with a regime that was becomingly increasingly moderate. We now know that wasn't true and Deputy National Security Adviser Ben Rhodes was simply acting like a "storyteller."